How to turn off autostart / prevent Station from launching on startup? 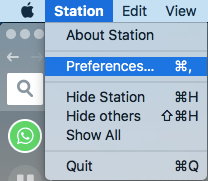 By default, Station is launched when your computer starts. There you'll find a "Launch Station at login" toggle that you can turn off.